On National Readathon Day, May 21st, Faulkner House Books will be hosting a variety of authors reading from and discussing their recent work. 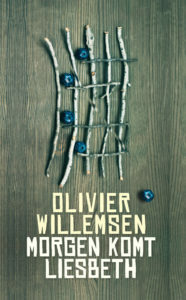 Writer Olivier Willemsen will read from his novel Morgen komt Liesbeth (2014) (Liesbeth’s coming tomorrow). Two boys in postwar Vienna learn about the world through the photographs that their father develops at home every day. They have never been outside. They live in an apartment high above the Gürtel, an avenue encircling the old city. One morning they watch from the window as their father gets into a tram, but that evening he does not return. The telephone rings, and the beautiful Liesbeth promises to look after them. But her arrival keeps getting delayed and it turns out that, apart from care, Liesbeth has quite different plans for the boys. Liesbeth’s Coming Tomorrow was nominated the best first novel of the year by the Dutch daily newspaper Trouw and the European First Novelist Festival in Budapest, Hungary. His second novel is due in October 2016. During his residency in New Orleans Willemsen works on his third novel.